Finding Heaven at 38,000 feet. Or bringing up twins, with help from Talking Heads, Lynryrd Skynyrd and a roll of masking tape! Life was quite hectic when my children were very little. Sometimes I felt so tired that I would have a waking dream about being in an airliner on a long haul flight, with nothing to do but gaze out of the window and be waited on by air hostesses while listening to Heaven by Talking Heads. Then I would come to my senses and realise that it was my turn to load the shopping onto the conveyor belt at the checkout. In my dream I’d always reserved my seat well in advance, so I wouldn’t get stuck by the aisle and have to move every time my neighbours wanted to go to the toilet. I read in an article once that men pass wind about 15 times per day; though more often, and more unpleasantly, if they eat a lot of sulphur-rich foods like beans, cabbage, cheese, soda and eggs. (We have Gillian McKeith to thank for her revelation that ‘food combining’; e.g. eating dairy, meat, pulses and citrus foods during the same meal, can lead to ‘gas’.) The article didn’t mention females and gas, so to complete my vision of heaven there would be a woman sitting in the seat next to me. Don’t get me wrong, I love children, but I always find it distressing when they are crying on the plane and there’s nothing I can do to help them. So when I’m airborne and there are little children near, my pleasure at being able to observe them communicating is tinged with anxiety that they are likely to get upset by bouts of earache, caused by sudden changes in air pressure. I don’t usually fly long distance, and have always wondered how parents of young children cope on lengthy flights for upwards of 10 hours. One answer came from a mother at a parent and baby group I was a guest at in Luton. She told me about friends who had taken their one-year-old on a flight from Heathrow to Jamaica with nothing to entertain him except a roll of masking tape. The little tot was kept busy for hours by tearing strips of tape that he could stick on himself, the tray in front of him and all over mum and dad. Then they made a ball out of it to stick on every available surface. So here I am, just settling down on a flight from Paris to the Middle East, en route to South East Asia, where I will be leading training. I’m looking forward to eight hours of relaxation, including gazing out of the window and being waited on by flight attendants. Everything has gone well so far, apart from a small hitch at security. My on-flight bag was searched and I was quizzed about the roll of masking tape I’ve brought with me. To the query, ‘What exactly is the reason for your trip and why do you need this tape on board?’ I was able to answer with confidence, ‘I’m interested in children and this tape could come in handy if they get upset.’ After I had been transferred to a special interview room and kept waiting for what seemed like an age, I explained in more detail about my work and exactly what I had been told about the sticky tape. The uniformed officer seemed to understand and I was finally allowed to board. Wow! I can’t believe my luck! I’ve recently been researching the subject of twins, for a chapter on a book I’m writing, and sitting right behind me are a family with twin girls of about three year of age. It’s going to be fascinating to observe how the parents cope and how the children interact with each other. Luckily I’ve got my masking tape handy, in case things get a bit fraught back there. I’m by the window, it’s a beautiful sunny afternoon, and I’ve got a screen on the back of the seat in front of me, with a huge selection of TV programmes, films and music to choose from. I’ve got Talking Heads lined up on my iPod and there is a young woman sitting next to me. Heaven here we come! Slight setback: a woman in a row across the aisle has started waving at me. It’s not uncommon. Maybe she has seen me on YouTube or heard me on the radio? I wave back, prominently displaying the band on my wedding finger (you never know).I’ve finally worked out that she wants me to lower the shutter on my window, to stop the sunlight landing on her screen. This is a shame, as we are just flying over the Alps. Showaddywaddy told us that there are at least three steps to heaven, so maybe there’ll be two more hitches before I can head into Nirvana (as well as listen to them on my iPod). Yes! This is a ‘can do’ airline. The cabin crew made an announcement about my plight and kind passengers have had a whip-round with all the veggie items of food they don’t want from their meals. I’ve now got a pile of little plastic tubs and sachets I can’t wait to open, as well as five boiled eggs, three spare pots of yoghurt, two bars of complimentary chocolate, some slices of lemon, a glass of champagne and several small bottles of red wine. Another slight setback: many of the pots didn’t have labels on. I think I have just ‘food combined’ some foods high in sulphur, but have at least washed them down with the champagne and wine, which will hopefully counteract any excess build-up of ‘gas’. I am male, and this flight lasts eight hours. You do the math. Another slight setback: the twins have been great for the past hour: chatting away to themselves and to mum and dad. Contrary to what I had expected, these children have really good pronunciation and language development. From what I have gathered from their conversation, the children are called Kathy and Kimmy and the family are Australian. We hit a spot of turbulence and one of the twins started crying. Here was my chance. I leaned over the seat and spoke to Dad. “Excuse me (holding out the making tape) would you like to try this with the kiddies? It might help to keep them quiet.” Dad’s response was not what I expected. All is going well, and I’m listening to music on my iPod. A slight setback: I forgot I had loaded a ‘Fear of Flying’ playlist, as a bit of a joke, and have just listened to tracks by Otis Redding, Buddy Holly, Stevie Ray Vaughn, John Denver, Glenn Miller, Jim Reeves, Jim Croce and Lynyrd Skynyrd. I’m feeling a bit anxious and need to go to the loo. Both of my neighbours are fast asleep and I’m worried about waking them up. Some twins may have delayed speech and language development. Not because of developmental delay, but because they spend a lot of their early years together. They will tend to reinforce each other’s speech and language patterns, particularly as they are likely to understand each other very well. This usually changes as they attend early years settings and begin talking with other children. Parents need to be united in working together to bring the children up. You need to be very well organised and have a lot of energy. Aunts, uncles and grandparents can be a great help: and particularly by giving respite. It’s an expensive business, because you need two of everything, and a big car! Other people often have some very strange ideas about twins (particularly about twins having telepathic thoughts). Everyone can help twins to develop their identities as individuals. Agreeing to refer to them by their first names, rather than ‘The Twins’, is a good start. Some twins need to be together, while others are not so bothered about being separated. Any decisions about separating children or keeping them together in a class need to involve parents’ wishes and children’s needs. More twins are being born because of the success of IVF treatments. The Twins and Multiple Births Association (TAMBA) is a great source of help. I’ve just watched About a Boy, my favourite episode of Modern Family (with Fizbo the Clown) and am now gearing myself up for the first episode of Breaking Bad. And two little children are giggling and sticking masking tape in mummy’s hair while she is fast asleep. I’m finally in heaven. Lynyrd Skynyrd: Free Bird at Knebworth 1976. It’s a slow burner, so enjoy crowd watching until 6.40 minutes in, when it really takes off! My six year old loves nothing more than a roll of masking tape and a cardboard box to create things with, she then unsticks and remakes them into something else and has enjoyed this since she first got her hands on masking tape at around 3 years old. I wish I’d known this several years ago on a flight with my 11 year old son who was then aged 18 months, suffering from ear ache and miserable! Masking tape is great stuff!! As is Blu Tak! Michael, this is absolutely hilarious, I’ve been giggling out loud. Still am. Our little ones are not twins but they are the same size and look alike. We collectively call them ‘the babies’ – it doesn’t seem to have hurt them as they go about finding their own identities. 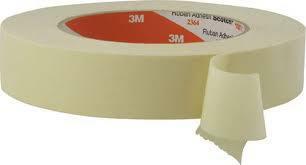 I’m definitely bringing a few rolls of masking tape on our upcoming flight! Many thanks! Aeroplanes are such strange places, aren’t they. And airports are strange too! Thank you Michael – I guess the airport security will just have to get used to rolls of tape – a cheaper option to the see-through plasters we travelled with when our children were under-10’s. I wonder why you have a policy to split twins up? The link below is from 2001, but the issues are still as live today as they were then. There are many more twins being born, and for me the issue of their welfare is very important. This is an important subject, even though I set it within a very flippant blog post! I shall remember the masking tape trick and pass it on…Lynyrd Skynyrd, all that hair and cheesecloth shirts, where have the years gone! I have been looking closely at the needs of twins and their families. Large buckets of common sense, sensitivity and energy are needed to survive the first three years and then go on to support the children into strong identities as individuals and siblings. In the meantime they have to endure the minefield of other people’s misconceptions. So funny michael; I can imagine it all! !